5 - 8 years. 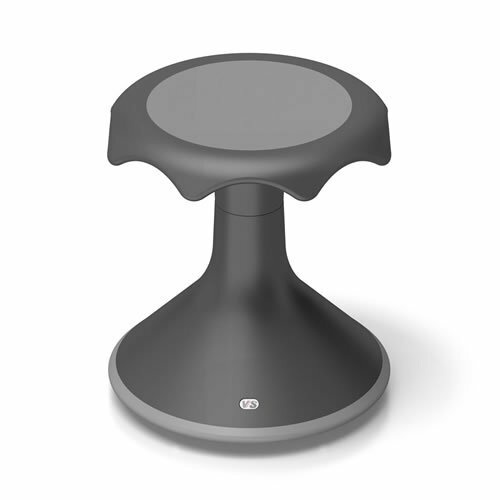 The 15" HOKKI is an ergonomic stool that transforms stationary sitting into an activity, ideal for brainstorming sessions and other active sitting environments. You're moving, even when you seem to be sitting still. The convex base allows for movement in all directions, which is critical to student development as physical movement both increases well-being and encourages the physical and intellectual maturing process. The polypropylene body is highly stable and durable, but at the same time extremely light. The soft base padding prevents slipping. The foam sitting surface ensures increased safety for children while seated. Weight limit 242 lbs. If you have any questions about this product by VS America, contact us by completing and submitting the form below. If you are looking for a specif part number, please include it with your message.